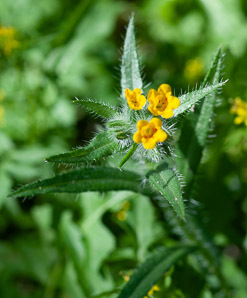 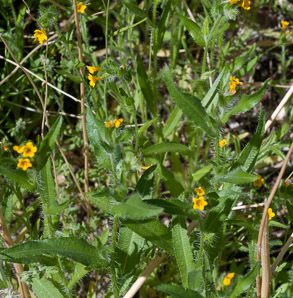 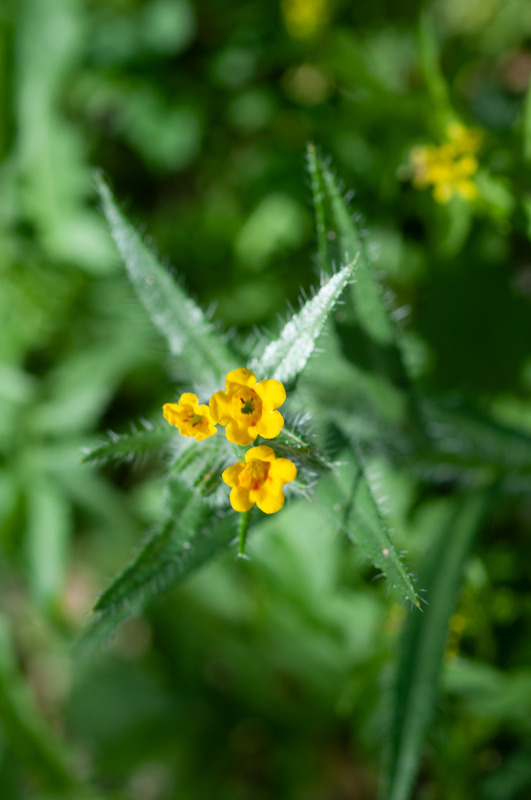 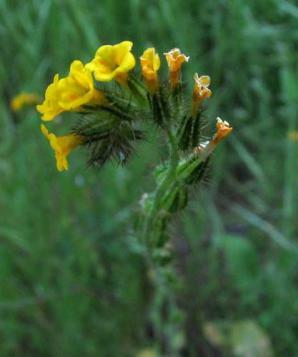 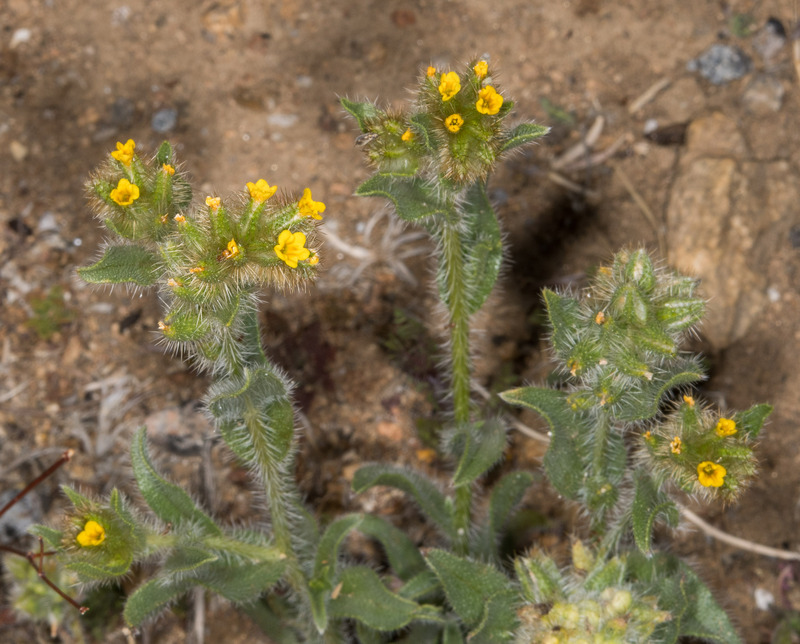 Common fiddleneck is so named because the flowerheads look a bit like the top of a fiddle when viewed in profile. They are natives of North America. 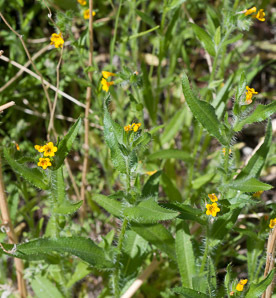 Identification: Plants are less than 5' (1.5 m) high. The leaves are bristly, and sharp enough to irritate the skin. 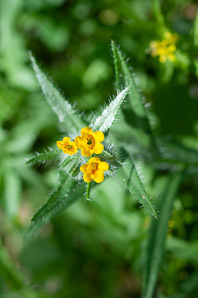 The yellow flowers are about ¼" (6.3 mm) in size. There are several difficult-to-distinguish species. 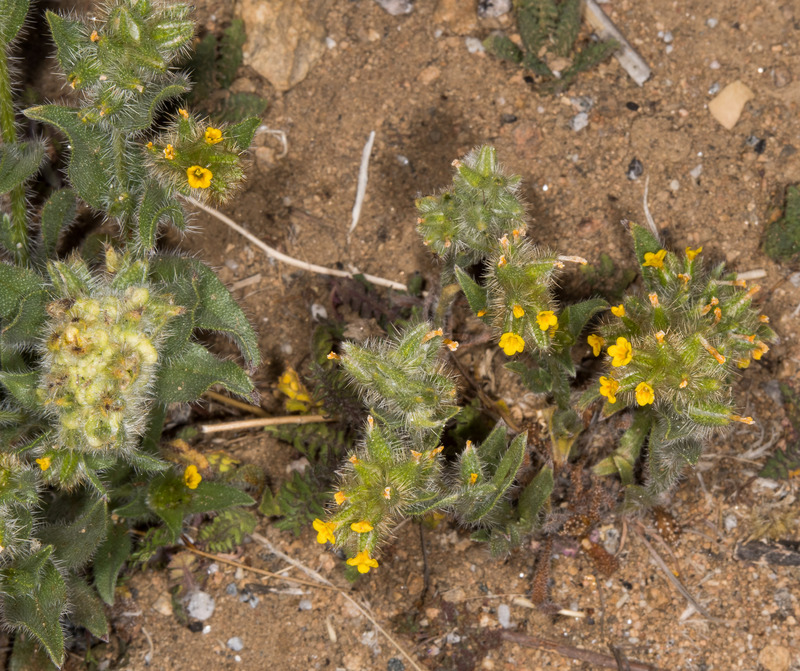 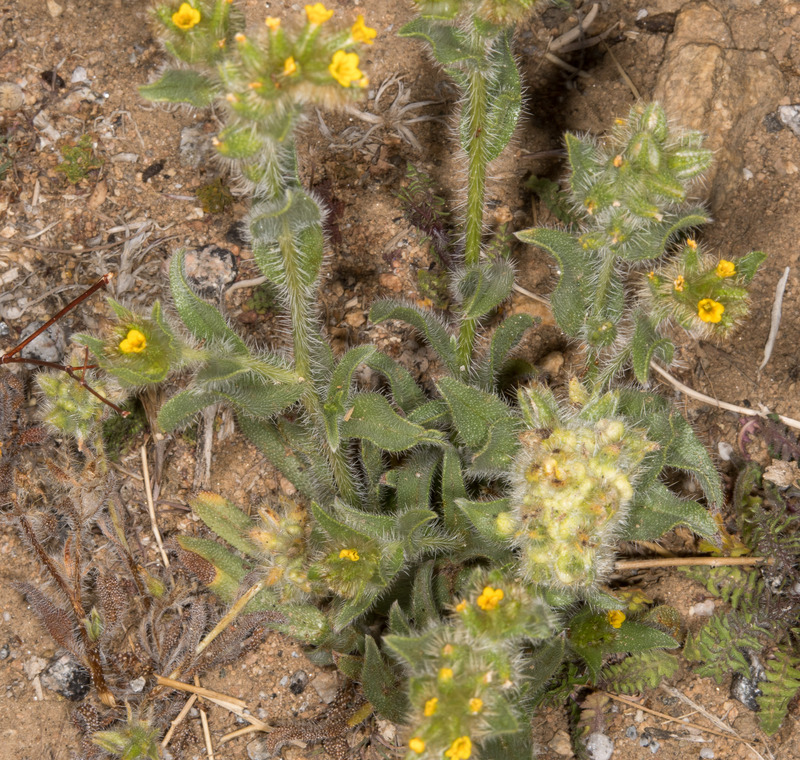 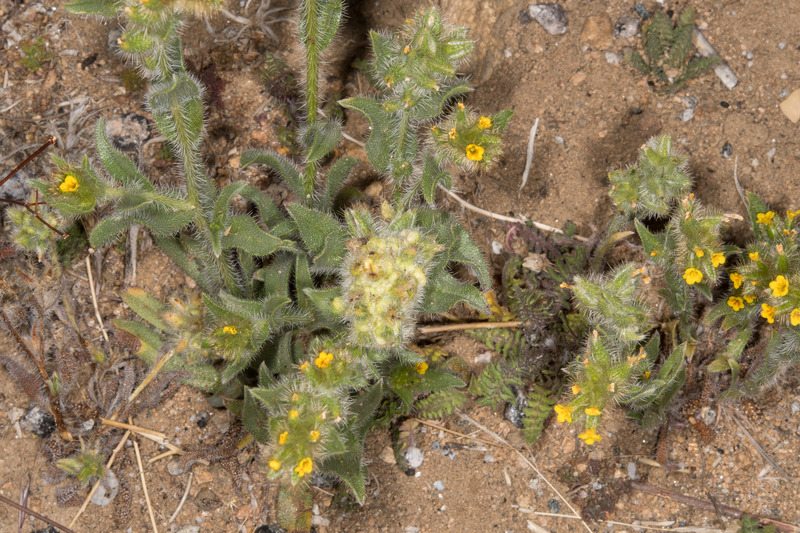 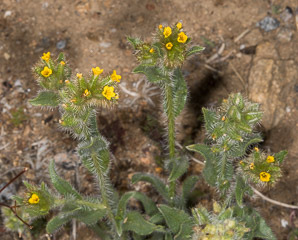 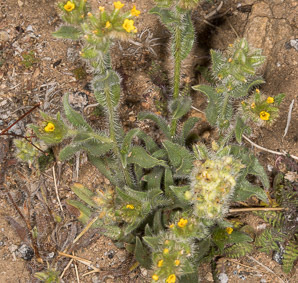 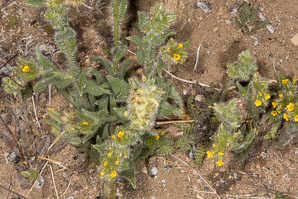 Amsinckia menziesii var. 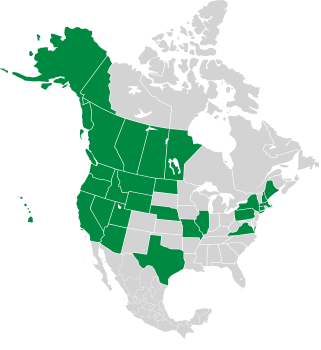 intermedia description by Thomas H. Kent, last updated 2 Jan 2019.